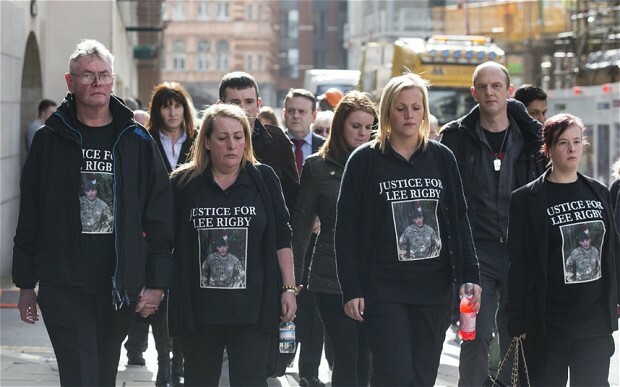 It’s been a hard few months for Lee Rigby‘s family, having to face the two killers, Michael Adebolajo and Michael Adebowale for running him over and then brutally ‘hacking’ their son to death in broad daylight as the brave soldier approached Woolwich barracks in South London. Finally, some good news broke out that the judge has announced that psychopath Michael Adebolajo has been sentenced ‘for life imprisonment’ whilst, Adebowale was sentenced to a minimum of 45 years sources revealed. But this case, has undoubtedly caused quite a lot of controversy to do with religion. 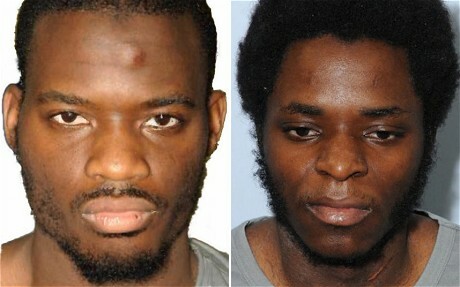 Adebowale, 22 and Adebolajo, 29 when first arrested for the murder of Lee Rigby stated that ‘It was done for Allah (God)’. The two killers, who both grew up in east London from Christian families, claimed they were “soldiers of Allah” and that the killing was a legitimate act because Britain was at war with Muslim people. Many people from Muslim communities, spoke out openly about how ‘the killing of Lee Rigby was a tragic term of events and justifying through Islam doesn’t make you a good Muslim, simply the opposite’. Sources from BBC quoted by Mr Justice Sweeney himself said: “I’m sure this was a murder done for the purpose of advancing a political, religious or racial cause”. And the madness doesn’t end there, despite the damages suffered from the soldier’s family, the two Killers failed to show any remorse or sign of regret as they stared down the family from the docks, sources added. Rigby’s widow, Rebecca was left sobbing along with the rest of his family but all agreed that ‘Justice was definitely served’.